The Association of American Cultures (TAAC) was founded in 1985, following the success of the first Open Dialogue conference in which cultural workers from an array of arts disciplines gathered to discuss issues confronting arts organizations and artists in communities of color. As a national arts service agency, TAAC advocates for racial equity in the arts and arts organizations and provides support for those concerned with the preservation of their culturally specific identities through the arts. The TAAC collection consists primarily of materials distributed to participants at several of the Open Dialogues conferences, along with a handful of promotional materials. A videotape in the collection is one of several produced by TAAC in the 1980s on aspects of cultural diversity in the American arts. Gift of Mayumi Tsutakawa, Jan. 2016 (2016-008). A pioneer in arts programs in community development, Maryo Gard Ewell is a graduate of Bryn Mawr College with masters degrees from Yale (1972) and the University of Colorado Denver (1992). Beginning her career with arts councils in Connecticut, Ewell went on to become leadership positions wih the Illinois Arts Council and the Colorado Council on the Arts (1982-2003). A co-author of the influential The Arts in the Small Community (2006), she is a sought-after speaker and collaborator, serving as a board member and consultant for arts agencies across the country. Among other awards, she has been recognized with the “Arts Are The Heart Award” in Colorado; an Honorary Doctor of Humane Letters from Goucher College; and the Selina Roberts Ottum Award from Americans for the Arts (1995). Since retiring in 2003, Ewell has remained active as a consultant, educator, and speaker. This small collection contains materials relating to two significant developments in the history of of community arts in the United States: records relating to how selected states decentralized arts funding in 1970s, and to early efforts of the National Endowment for the Arts to create a program to serve local arts agencies from the mid-1970s through the mid-1990s. A not for profit membership organization, the National Assembly of State Arts Agencies (NASAA) provides representation for state and jurisdictional arts agencies at the national level. Incorporated in 1974, NASAA has been an important forum for directors, chairs, and staff of its member organizations, supporting their collective efforts to advance the arts as an essential public benefit. Working with the National Endowment for the Arts and other agencies, NASAA also helps to strengthen state arts agencies by supporting excellence in and access to the arts. The NASAA collection includes important documentation of the founding and early operations of the organization, priorities and controversies over the years in arts management, and records of its annual meetings. In contributing to the National Arts Policy Archive and Library (NAPAAL), the NEA allowed SCUA to digitize publications on the arts and arts management since its inception. The collection reflects the impact of the arts (including music, literature, and the performing arts) on everyday lives of Americans and include materials intended to support individual and classroom education, information on arts management, reports on the status of the arts, histories of the organization, and much more. All items are cataloged in the UMass Amherst Libraries online catalog and are included in the Internet Archive, where they are available for full-text searching. 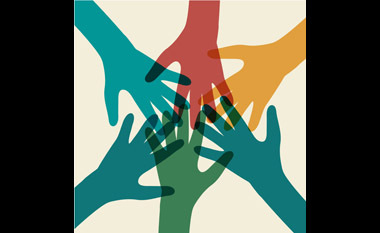 Since 1975, Community Development Coordinators for state-level arts agencies in the United States have met annually for the exchange of information, training, and to plan state and national programs for community activity in the arts. Charged with development of both community arts councils and rural arts, CDCs also work to decentralize efforts. In recent years, they have increasingly been engaged in arts and social action programs and in providing a voice on national arts policy. This small collection documents over thirty years of annual meetings between Community Development Coordinators from state arts agencies across the United States. Organized chronologically, the collection includes agendas, membership lists, communications among organizers, and materials used in workshops and that document the history of CDCs. In 2000, the CDCs began keeping records electronically, though without designating a record keeper. Electronic records have not been included in the collection. Tom Turk played a significant role in the growth of state and community arts agencies across five decades. Beginning his career as an organizer of community arts agencies in Michigan in the mid-1960s, Turk went on to hold leadership positions with community arts agencies in Texas and Tennessee. Active on the national level, he served as a founding member of the Executive Board of the National Assembly of Community Arts Agencies, later the National Assembly of Local Arts Agencies (1977-1985), and as president of the United States Urban Arts Federation (1999-2000), the association of local arts council and commission directors in the nation’s fifty largest cities. Reflecting a long career in community arts, the Turk collection includes rich documentation of three important organizations involved in the development of the field during the late-1970s and early 2000s: the National Assembly of Community Arts Agencies, the National Assembly of Local Arts Agencies, and the U.S. Urban Arts Federation. The records include a nearly complete run of minutes of the Board and Executive Committee for NACAA and NALAA, along with newsletters and some financial reports, as well as materials relating to the organization and name change. 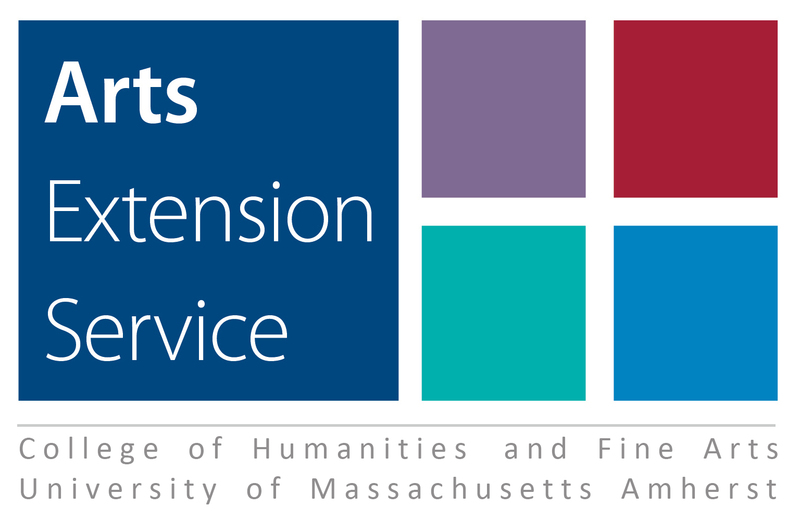 The Arts Extension Service (AES), a national arts service organization located at the University of Massachusetts Amherst, is the nation’s leading provider of professional arts management education, serving the arts through education, research, and publications. The AES distinguished itself as the first program in the nation to offer a bachelor’s degree in Arts Administration and it has subsequently added a range of training programs for state, regional and local arts agencies, including Peer Advising and Artist-in-Business, research services, and two online Certificates in Arts Management. The records of the Arts Extension Service (AES) are divided into three series: Administration; Programs; and Publications. Series one dates from 1973-2004 and contains correspondence, consulting logs, contracts, course catalogs, organizational plans, press releases, books, booklets, forms and documents. Series two dates from 1977-2005 and contains correspondence, handouts, flyers, news clippings, brochures, pamphlets, reports, proposals, registration forms, grants, evaluation forms, schedules, and planning documents. Series three is composed of news manuals, catalogs, news clippings, newspapers, books, booklets, advertisements, correspondence, entry forms and handbooks that date from 1974-1999.